Check out what is going on with Bigfoot Creative! My work at Bigfoot Creative for the month of April will blend elements of installation, photography, and printmaking. You can check out her website at thehelengrant.com. 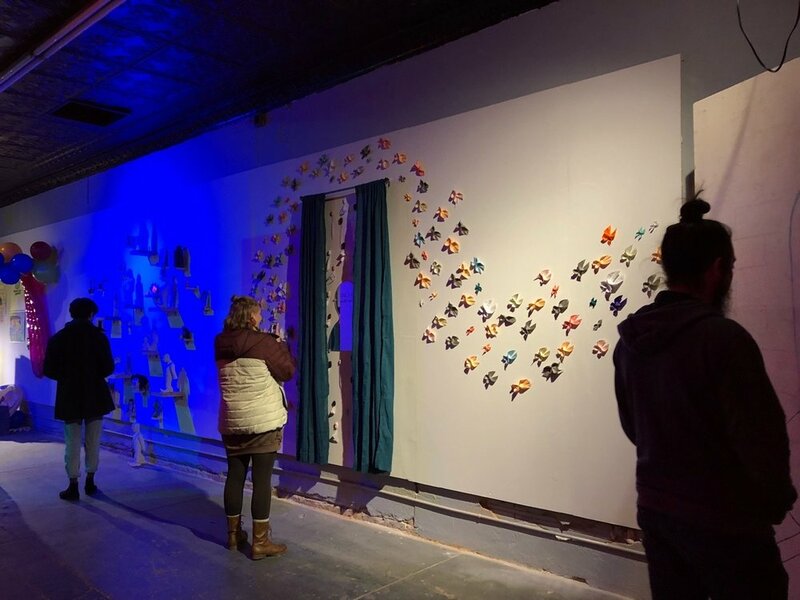 “Reflection Series #1” was the artist’s contribution to a group “7-D Art Show” at Resonator Institute, November 2018. Process shot of the artist’s linocut “Mantis Moon” prints.